Create you perfect tailor made tour to the Islands of Indonesia, strewn across the coral-rich waters of Southeast Asia, Indonesia is made up of over 17,000 Islands. The Indonesian people are a mixture of many different cultures and religions whose costumes and customs vary between islands and even between valleys. Bali with its famous beaches also has magnificent sloping terraced rice-fields along its central volcano. Lombok and Sumba are the least visited with natural untouched beauty and beaches creating perfect tropical hideaways. Java’s regional cities are bright and vibrant. Sumatra’s jungles offer refuge to the endangered orang-utan, while remote Sulawesi is almost a country in itself, with ancient tribal cultures and great diving. 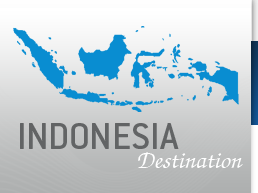 The best time of year to visit most of Indonesia is April to October. There tends to be more rain in the other months, although there is never a bad time to travel as these are usually short, tropical downpours and the rains bring benefits as the countryside comes to life with lush vegetation. Indonesia is generally warm throughout the year, although nights can be cold in the highlands. For those who are just looking for some sun Xplore-Asia offers some great beach holidays and packages to the Island of Bali.